One of the world's most endangered species of whale is experiencing a mini baby boom in New England waters. The North Atlantic right whale is one of the rarest species of whale on the planet, numbering only around 400. 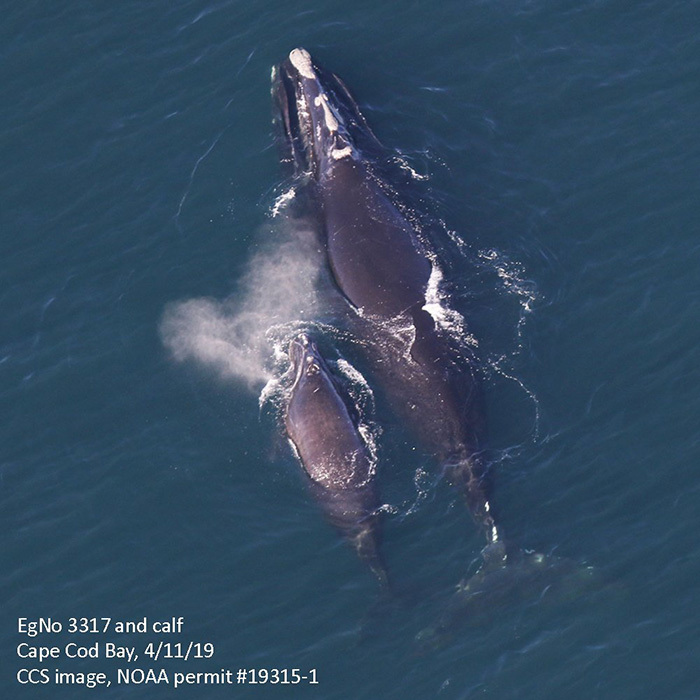 Researchers at the Center for Coastal Studies in Provincetown, Massachusetts, have announced they have seen three North Atlantic right whale mother and calf pairs in Cape Cod bay. In all, seven right whale calves have been spotted in 2019. Scientists reportedly did not spot any right whale newborns in 2018.